Welcome to my Alladswork review 2019! 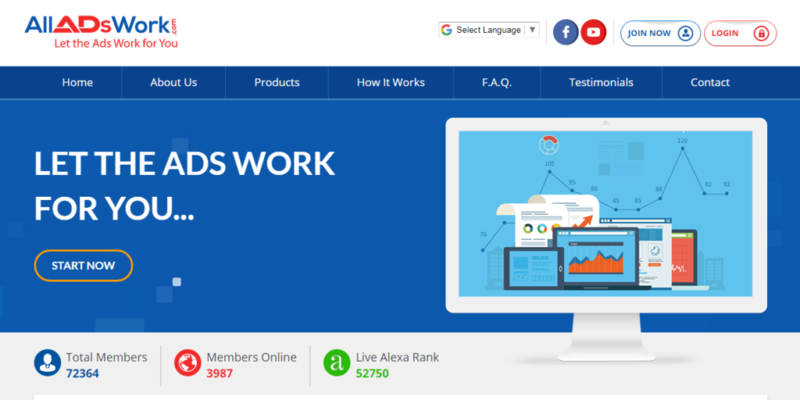 Alladswork is a new Online advertising platform that presents a variety of advertising tools and also claiming an earning opportunity to their members through revenue sharing. You may get excited after seeing it a revenue sharing opportunity but I must tell you that before joining any such program you should see it whether it is fake or real. That’s why; I must congratulate you on reading honest reviews on the internet. You are lucky to find my post, and I assure you that I am not connected to Alladswork in any form. Instead, my aim is to provide honest information about this site. Is it really that easy for Alladswork to fulfill its promises? Is it worth your time? And most importantly, is All ads work a scam or legit? 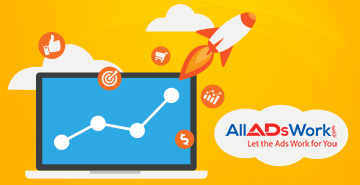 Summary: Alladswork is an advertising platform that offers an earning opportunity for its advertiser as well. The site uses revenue sharing model and currently has over 700,000 people. The site is growing very fast, but sooner or later it will convert into a scam. The reason is due to the business model which is unsustainable. Alladswork is a new site that sells ad packs to its members, and as a result of this, the members can advertise their businesses with other Alladswork members. The Company then shares revenues with the members who have bought those ad packs. This concept is not new, and I have also written many reviews in the past with the names of Traffic Monsoon, Paidverts, and Zukul Ad Network. All those companies have become history, and Alladswork also works on an old-fashioned revenue sharing Ponzi Schemes. The business is not sustainable, and they use the new money to fund old people. If somehow there is a problem in the inflow of members the program will shut down, and they will shut down, and you will lose all of your money. 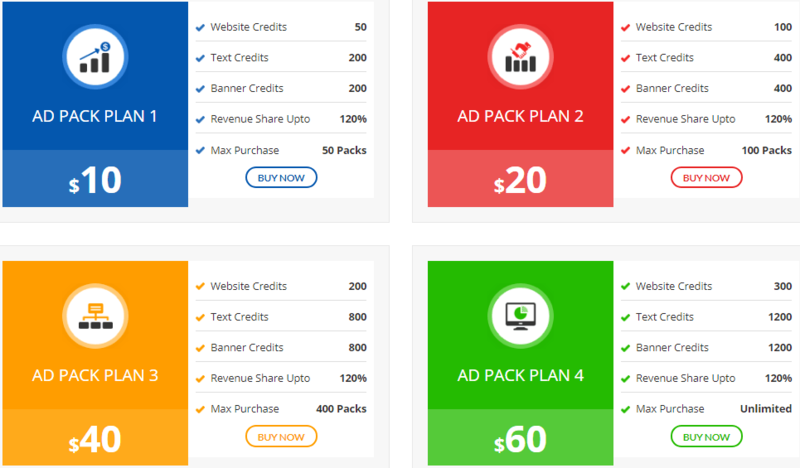 A member can purchase Ad Packs from any Plan. No Force Rule to start from Plan 1 to go higher. To participate in daily revenue sharing, you must watch ten ads daily. There is no limit defined by the site about how much an ad pack takes to reach its maturity level. It means the daily revenue sharing is based on the ad packs purchased by the new and old members. PTC stands for pay to click, and it simply means you have to watch ads for few seconds and earn money. For each ad, you will earn a fraction of a penny. However, even if you are a free member, you can still make money with this. These are also called cash links. 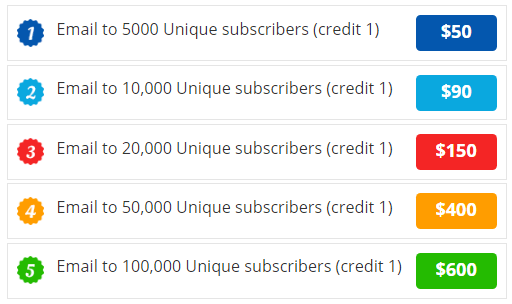 To participate in revenue sharing, you need to view these ten ads daily. For legit PTC sites i recommend you to see my reviews on Neobux, Clixsense, and Scarlet – Clicks . To boost your earnings, you have the opportunity to refer people. If you do this, you will earn 8% of every purchase that your referrals make. If you don’t know how to get referrals, then I have written a great guide on this topic. Minimum withdrawal limit is $10, and it allows a withdrawal in Bitcoins, Payeer & Perfect Money. This assures your website gets seen by members every time they sign in to the site (AllAdsWork.com) when you purchase this package you receive an infinite amount of hits for a 24 hour period. Paid to click (PTC) is an old advertising method where people watch ads that last for only a few seconds. Such websites play a middle role between advertisers and customers, the advertiser pays for displaying ads on the site, and a part of this payment paid to the viewer when he/she views the advertisement. Banner ads are simply a banner you have seen on different sites. It is a type of service in which you are paying for someone else for using its email list. The biggest problem with this site is that it is unsustainable as the Company is running just because of people buying ad packs. There is no other revenue generating activity taking place here. Even the site claims it a revenue sharing site but how many people are willing to use their advertising services? The answer is nobody! People only join this site only to earn income on revenue sharing opportunity. They don’t have any interest at all on advertising their business here. This makes this business a perfect Ponzi scheme which takes money from new people and shares it with the old members. If there is any negativity about the Company in the market, the members will stop joining it, and as a result, people will not get any revenue sharing it all. The Company offers only one product, i.e., advertising. 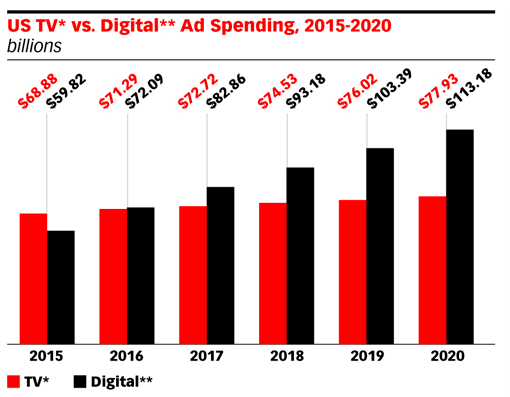 No doubt the advertising is a billion dollars industry and the total spending in this industry is increasing year after year. But the issue is no business want to advertise in a place where they couldn’t get any benefit. People love to advertise on Google, Bing, Facebook, Twitter, Linked In, Instagram, Pinterest and many more because there are billions of people from every part of life. Businesses can get laser targeted traffic from these platforms if they run ads on them. So, the money they spend here, they will make sales and eventually positive return on investment (ROI). However, if you advertise in Alladswork platform, then you don’t expect any single sale even if you spend $1,000 because traffic is only related to those who are looking for making money from there revenue sharing platform and they don’t have any interest with the ads. They only watch them just to ensure that their minimum requirements of 10 ads to be met. Honestly speaking, Alladswork is currently paying to its members, but it will eventually become a scam shortly. Unless they add more revenue generation options that make it a stable platform, I don’t recommend it to use it as an investment option. You are taking a big risk with this platform, and you can easily lose your hard earned investment. The program is a perfect example of a Ponzi scheme, and there are no cash inflows except the people who are paying for ad packs. Though the site doesn’t make any guaranteed income on a daily basis but let suppose you make a $500 investment and the Company stop getting new buyers, then you will not get any profit share on a daily basis. Also, the site has a non-refund policy after you invest here. In a nutshell, stay away from Alladswork, and if you are looking for making money from home, I recommend you to see my #1 recommended platform that I have been using it for four years. This platform has also achieved me to earn a full time income from home. You don’t need any experience at all, and if you are a complete beginner, this is the right platform for you. What's your thoughts on my Alladswork review 2019 and if there is any question in your mind, please ask me in the comment section.